Healthy Filling Meals: Pork Tenderloin with Orange Juice. I always insist, you have to eat to lose weight. I am starting this new series of “Healthy Filling Meals” so you can come and pick a healthy, filling, easy, fast and weight management friendly recipe to help you decide your next lunch or dinner. You can learn in this blog post all you need to know about Healthy Filling Meals. 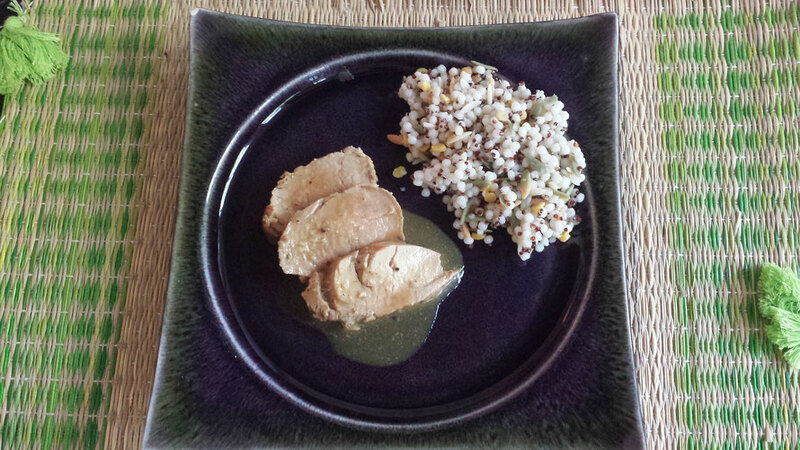 The first recipe of the series: Pork Tenderloin with Orange Juice. This is a super simple recipe that a friend of mine taught me not long ago. I mastered after trying 2-3 times, but every time was good enough to feed my family. Use a saucepan with a cover. Heat the olive oil in it until hot. 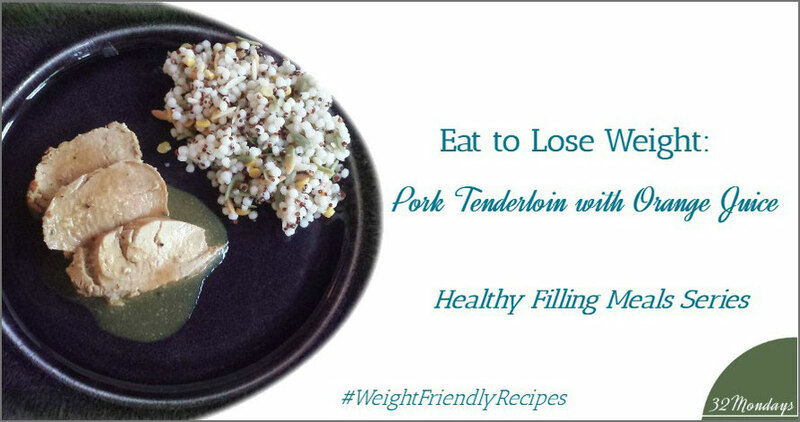 Trim fat off from the tenderloins. And add salt and pepper. Place the tenderloin and let them roast until they have a nice color. Add the orange and cover the saucepan. 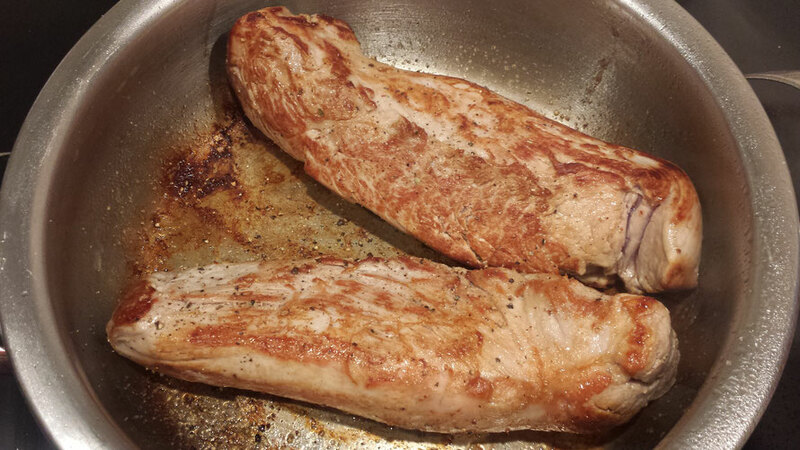 Let it cook for 5 to 8 minutes depending on the size of the tenderloin. 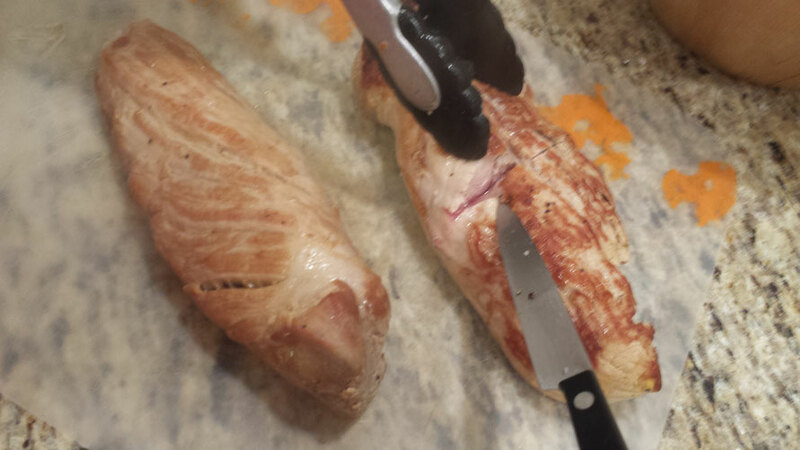 To test if it’s done cut the tenderloin to make sure is still just a little bit pink. Remove the tenderloins and let them rest until cold. Let the juice boil 10 more minutes until it looks like a sauce rather than a juice. Slice the tenderloins once cold. Otherwise would break. 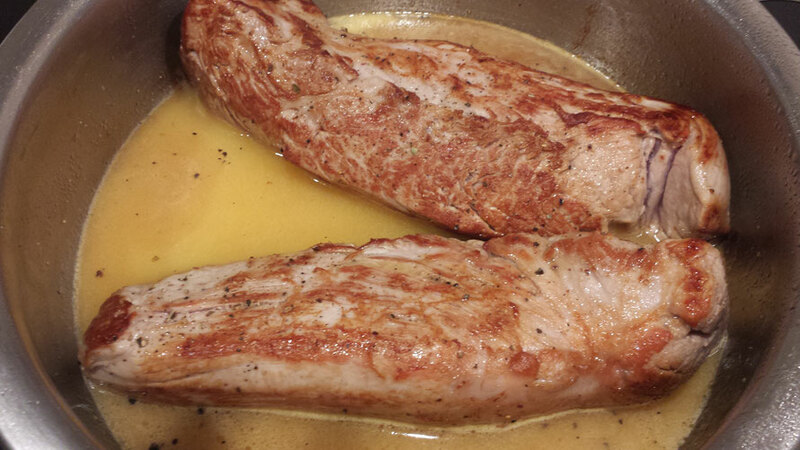 Once the sauce is cold place the sliced tenderloins in the sauce and let it rest. 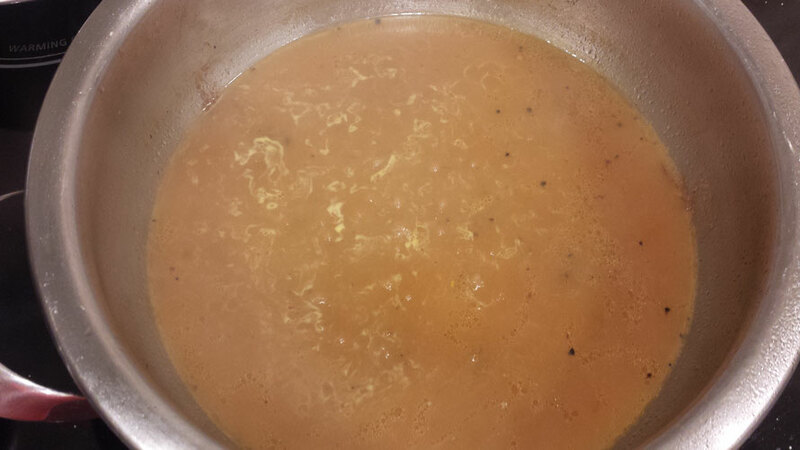 The meat will absorb the flavor from the juice. · So, when you look for healthy recipes that help you lose weight this can be the perfect one! : serve with brown rice, quinoa or couscous if it is for lunch or prepare a perfect healthy dinner for weight loss serving it with just vegetables. If you don´t know why you should only have it with vegetables at night read my blog post about healthy filling meals. Make sure you follow the healthy portion sizes! Does this recipe appeal to you?